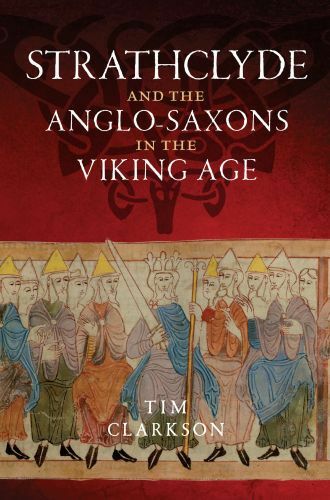 This book traces the history of relations between the kingdom of Strathclyde and Anglo-Saxon England in the Viking period of the ninth to eleventh centuries AD. It puts the spotlight on the North Britons or 'Cumbrians', an ancient people whose kings ruled from a power-base at Govan on the western side of present-day Glasgow. In the tenth century, these kings extended their rule southward from Clydesdale to the southern shore of the Solway Firth, bringing their language and culture to a region that had been in English hands for more than two hundred years. They played a key role in many of the great political events of the time, whether leading their armies in battle or forging treaties to preserve a fragile peace. Their extensive realm, which was also known as 'Cumbria', was eventually conquered by the Scots, but is still remembered today in the name of an English county. How this county acquired the name of a long-vanished kingdom centred on the River Clyde is one of the topics covered in this book. It is part of a wider history that forms an important chapter in the story of how England and Scotland emerged from the early medieval period or 'Dark Ages' as the countries we know today.